Building a new PC can be a pretty demanding task, as it involves some serious research – besides the obvious skills, of course – before deciding which parts to go with. And, if you ask us, one of the most important steps is picking the right CPU. When it comes to this, you’re being put in a difficult situation, as you need to decide between one of the two giants: Intel or AMD. But it’s not as easy as picking between Coke and Pepsi, which is basically a matter of taste. No, things are a bit complicated, since there are a lot of features you need to take into consideration. However, let’s say that you want to go with Intel. Still not over, as you now must go through the best Intel CPUs and decide upon the one that works best with your build. By the way, if you’re team AMD, you can check out our AMD FX vs Ryzen comparison, as well as the best AMD CPUs guide. In order to help you in your decision-making process, we’ve put together a list with the best Intel processors you can currently buy, taking into consideration aspects like budget, performance and the main purpose of your build. Without much further ado, let’s see which Intel-made chips are worth your money! Below is an easy-to-view comparison between some of the best Intel CPUs, both high-end and affordable models, suitable for a new PC build or an upgrade to your current configuration. At the bottom of this list is a detailed guide to help you choose the right one, in order to avoid spending a lot of time looking for it! If raw power is what you’re after, search no more, as we have exactly what you need. 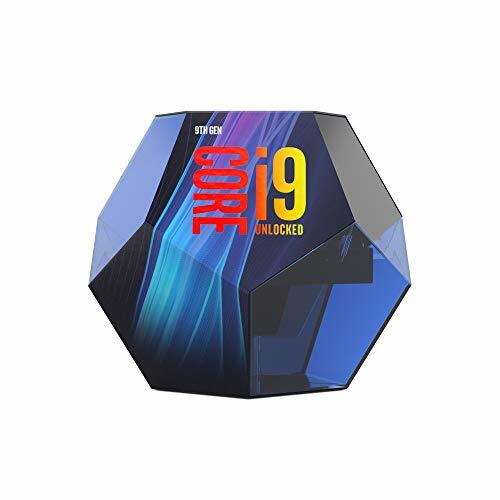 Packing eight cores and 16 threads, the i9-9900K has more cores than any other mainstream CPU ever released by Intel. And of course, the performance it delivers is sensational, being able to go head to head with AMD’s Ryzen Threadripper model. The base clock speed is 3.6GHz, but you can easily reach 5.0GHz, using the Intel Extreme Tuning Utility. Yes, you read that right: this processor is made to deal with such speeds, as it’s built with Solder Thermal Interface MAterial, which helps facilitate efficient heat transfer from the processor to the cooler. However, if you want to achieve this value, it’s highly recommended to have a proper cooling solution. To describe the Intel Core i9-9900K in a few words we need to use words like ‘insane’, ‘crazy’, ‘impressive’ and so on. Therefore, it’s obvious that this is a real beast. However, it’s an expensive beast for most users, so get ready to splash a serious amount of cash on one. Obviously, we’re must include one of the best high-end gaming chip Intel has in its portfolio right now, the Core i7 9700K. With this 9th generation, with an octa-core configuration and eight threads, Intel gives you the power to crush games in terms of CPU performance. And things don’t change at all when it comes to productivity or daily tasks. The CPU comes with a base clock of 3.6GHz but you can reach even 4.9GHz, using Turbo Boost, as well as an integrated Intel UHD Graphics 630 unit. It’s worth mentioning that it features a soldered thermal interface material, which provides increased thermal performance. 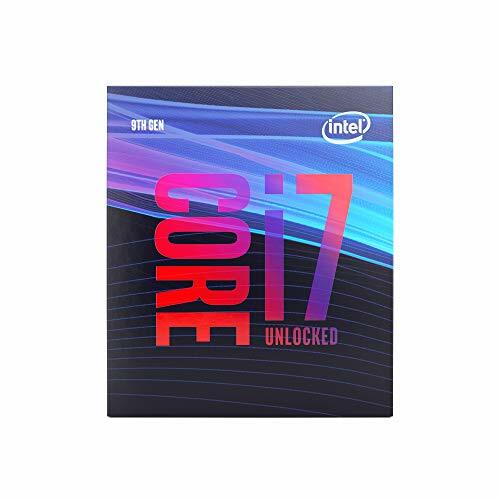 Overall, the Intel Core i7 9700K is a great pick for those who want to put together a daily gaming build, but are also big fans of multitasking and like to stream from time to time. The price can be a bit of a downside, but considering what you’re getting and the reduced energy consumption, it’s a great deal. If you want to build a PC focused mostly on gaming, this is definitely one of the best Intel CPUs worth checking out, as this year’s variant is just slightly better and you won’t notice a huge difference. It doesn’t come with the Thermal Interface Material, neither a cooler, so you need to invest in one separately, but this shouldn’t be a big minus. 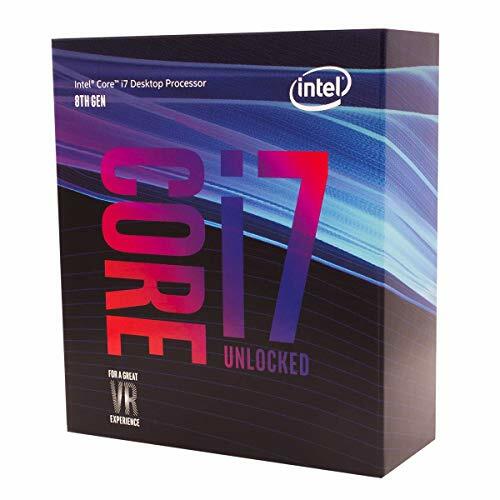 One of the fastest gaming CPUs, the i7-8700K can be used for other demanding tasks as well, like some virtual reality action and even rendering. Add the fact that it’s available at a very good price and you’ll agree that it can be one of the best deals in terms of high-end processors. We can easily observe the growing interest in video editing, as more and more people are starting their own YouTube channels and even transform this into a business. Sure, there’s a popular belief that MacBooks are the best for this, but it doesn’t mean that you can edit using your custom built PC! And for starters, you need an excellent processor. 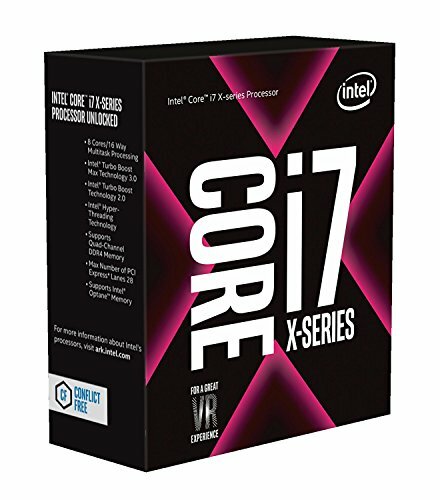 The Core i7-7280X is one of the best Intel CPUs for both video editing and virtual reality, part of the manufacturer’s Skylake-X series. It’s an octa-core model with a base clock of 3.6GHz, but it can easily be taken to 4.3GHz, using Turbo Boost. Overall, it offers solid multi-core performance, not to mention that it has a great price for a chip with so many cores, able to handle those massive 4K files, rendering effects and other compute-intensive workloads. Yes, we know about AMD’s alternatives to this chip, as well as the fact that it has just a little advantage over the Ryzen 1800X, but if you’re a video editor and a die-hard Intel fan, this CPU is for you. 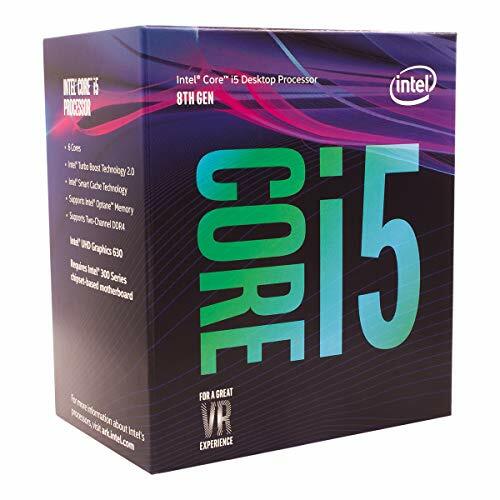 Despite the previous model being – from a technical point of view – powerful, when it comes to the best Intel CPUs you can get in 2019 for gaming, the Core i5 9600K is by far the best choice. A six-core, six threaded model, coming with an impressive base (3.7GHz) and boost (4.6GHz) clock speed, which combined with a good motherboard and proper cooling solutions can reach even 5.0GHz. But this is just for perfectionists! Not made for multi-threaded tasks, due to the lack of hyper-threading, the chip can deliver an amazing single-threaded performance, which is what really matters when it comes to gaming. And don’t get fooled by the “mid-range CPU for gamers” label, as it’s also more than decent for video editing and rendering as well. The CPU is unlocked, so you can overclock it right of the box, while its biggest (and only) downside is that it doesn’t come with a bundled cooler in the box. This can be a problem for those who don’t want to spend some extra cash on a 3rd party model from the start, but it’s definitely not a deal breaker. Overall, you’re looking at one of the best investments you can make for your PC build. Period. Even though a lot of people say that the 9600K is the best Intel deal, the i5-8400 also has a serious fanbase. In fact, it’s considered the best Intel CPU by a lot of tech publications, so it was somehow mandatory to include it on our list. This Coffee Lake chip comes with impressive specifications and a six-core configuration. The base frequency is ‘just’ 2.8GHz, but in Turbo mode it can reach 4.0GHz, not to mention that in some benchmarks it can even reach values that allow it to go head to head with the more hefty i7-7700K, presented above. But it’s not a perfect CPU. 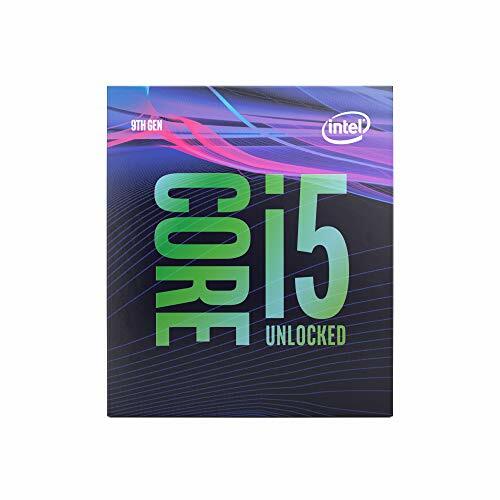 Since it’s a newer generation of CPUs, the Intel Core i5-8400 is compatible just with series 300 motherboards, which means that if you want to get this processor for an existant setup, you will most likely need to upgrade your mobo as well. But if you’re getting it for a new build, this shouldn’t be a problem! 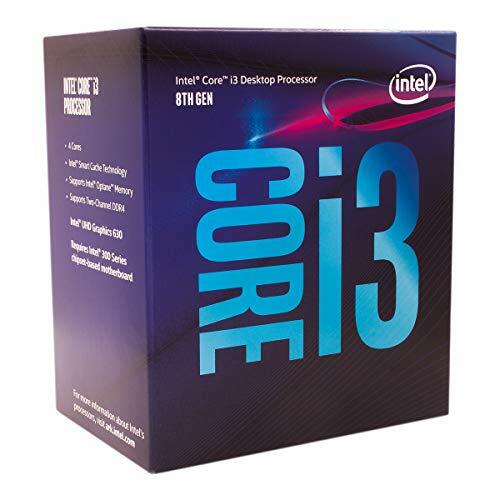 In most cases, the Core i3 CPU line-up is associated with budget computing, but don’t let yourself fooled by this, as the Intel Core i3-8350K is a pretty powerful model, punching way above the price tag. With four cores – twice as many as the previous Kaby Lake model – it comes with a base frequency of 4.0GHz but without Turbo Boost. Still, it’s unlocked, so you can increase the clock speed as much as your cooler allows it. If you’re ambitious enough, you can even go past 5.0GHz, with proper voltage. Of course, we need to mention AMD Ryzen chip, the 5 1500X, which is a direct competitor. Still, the Intel Core i3-8350K is a fantastic budget CPU, not to mention that the fact that it’s overclockable makes it a very good deal, especially if you want to build a new setup and your budget is far from being the largest. The next entry on our list of the best Intel CPUs to buy this year is the Intel Core i3-8100, a model which brings an incredible value at its price, being suitable for a budget-friendly gaming setup. It’s a quad-core chip, with a clock speed of 3.6GHz. Unfortunately, it can’t be overclocked, so if that’s something you’re after, our suggestion is to consider a similarly-priced AMD Ryzen model. However, it packs enough processing power for 1080p gaming. Also, it’s worth mentioning that the processor integrates an Intel UHD Graphics 630 chip. Not that powerful, but good enough for daily use. If your purpose is building a budget-friendly setup and you don’t really care that much about things like overclocking and you rather spend more on a graphics card than on a CPU, there’s no doubt that the Intel Core i3-8100 is one option to consider. Yes, you heard that right! A Pentium model makes it on our list of the best Intel CPUs you can get it 2019. But don’t get confused by the name, as we’re looking at an eight-generation budget processor, which won’t set your wallet on fire, like some of the above-presented models. Rocking two cores and a base clock of 3.9GHz, without the possibility of increasing it through Turbo Boost, this CPU is energy friendly, being a great pick if you want to build a PC for average, daily tasks, without a huge power supply. Launched just a few months ago, this eight-gen CPU features an integrated UHD Graphics 630 GPU and it has some really nice single-core and multi-core values. 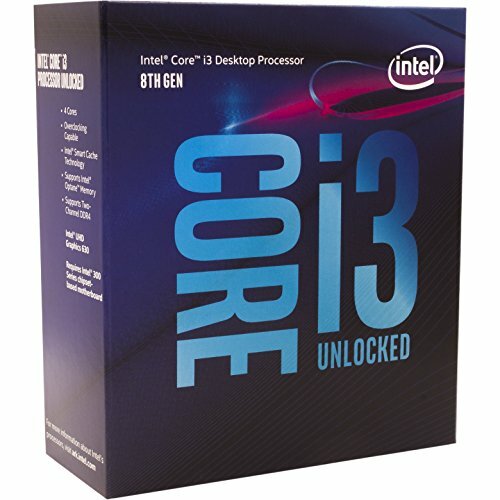 Still not as good as an i3 chip, but again, one of the best budget processors you can find today. Limited by a tight budget? No worries, we have just the chip you need! 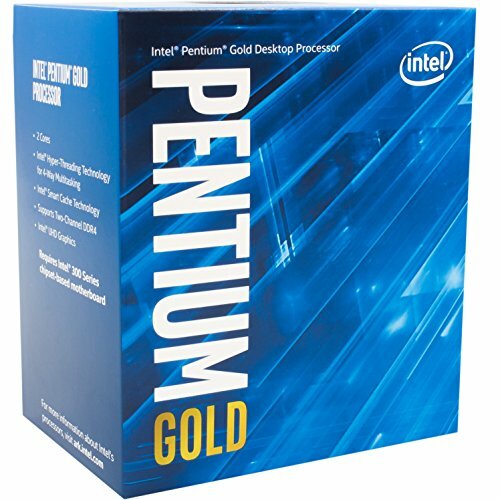 The Intel Pentium G4560 is an entry-level model, with a ridiculously low price tag, but packing a more than decent amount of power. With a base clock speed of 3.5GHz, this Kaby Lake CPU can be taken to a whopping 4.0GHz. And again, we’re talking about something that costs less than $70! 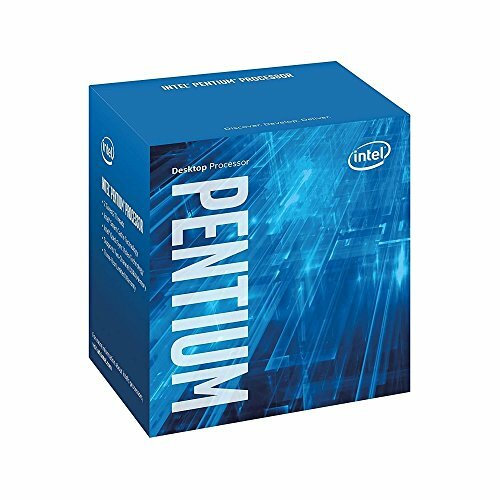 Definitely not the fastest Intel CPU on the market, the Pentium G4560 is actually a very interesting option that will give you decent performance and, why not, a good foundation to upgrade on after some time. Because you will definitely need more! In a nutshell: this is the best budget CPU you can find. Simple as that. And there you have it, folks: our selection of the best Intel CPUs currently available. As always, we’ve picked models from various budget categories, so anybody can find a suitable option, whether it’s for a new build or an upgrade. And we really hope that you will find your next processor using our list! Of course, if you know any excellent Intel processors which should be present on a list like this, feel free to tell us about them – as well as why you consider they should be included – by dropping a few lines in our comments section. The GTX 1060 finally arrives today!